in both full and part time positions. Despite their presence in the workforce, they are still primarily responsible for home chores as well. Women spend an average of 2 hours and 15 minutes on household chores on a daily basis, as opposed to men who spend 1 hour and 25 minutes on a daily basis. 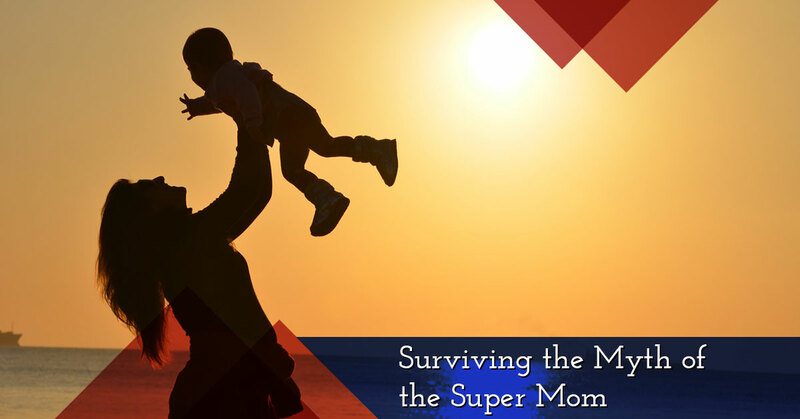 Women carry the majority of the workload at home, and this can have us reaching for the Super Mom label to help us feel like we can do it all. We at Child’s World Academy Day Care in Peekskill, understand the struggle that mothers go through to balance work and home, and we have put together some tips to help you strike a balance between work and family. This is not to denigrate the labors of men at all, but this week we will focus on mom. In our next blog, we’ll look at dads! As is so delightfully illustrated in the movie Parenthood, being a parent is like being on a roller coaster ride. There are ups and downs and moments of giddy joy and sheer terror. The sooner you learn to go with the flow, the better off everyone will be. Being late for work because of the last minute infant blow out or calling in sick for that dead four-letter word that starts with “L” are all part of the great experience of being parents. It’s hard sometime, but try to see the craziest moments for the absurdity they bring into your life and try to laugh. Sure, your laughter might descend into tears, but tears are part of the journey too. When you have children and a job, be it part or full time, there are sacrifices that are naturally made and others that are made against your better judgment, but happen nevertheless. From a quick stop in a convenience store to a Saturday morning where you get to sleep in, there are some things that will temporarily leave your life, but will return! Later on, when your kids are bigger, you’ll be able to indulge in a quick slushy stop or sleeping in without feeling guilty, but for now, you’ll just have to save these things for moments when your kids are at their grandparents, or you and your partner can take turns sleeping in. It’s impossible to do everything all the time. There are times when we need help, and if there is no glamour of elves showing up at night to tidy up, you may just have to figure out the priorities of the family and let some things slide for a while. Some parents think as long as there is food on the plates, clean clothes in the drawers (or at least in baskets in the living room) and everyone feels loved, other things can wait their turn. Children won’t remember if there were occasionally dust bunnies under the couch, but they will remember if you never made time to sit with them and talk. You can do a few things like buy paper plates to give yourself a break from dishes, or splurge and hire a maid once a month to do the deep cleaning. See the mess as a tide, it comes in, and it goes out and it *will* lessen as your toddlers and preschoolers grow up, learn to clean up after themselves and play with few small toys. It may be a cliche at this point, and a pedicure won’t solve everything or put your child to bed, but scheduling a little “me time” everyday will help your feel like you are still you. Getting the kids occupied (perfect for some dad-time for the kids), and taking a shower undisturbed, or to sit and read the book that’s been buried under Dr. Suess books on your nightstand, will help you feel like you still have some boundaries and will help you recharge so that can be the mom your family needs you to be and that you want to be for them. If you are a working mom and are looking for a day care that will provide excellent care for your child as well an excellent preschool curriculum, call Child’s World Academy and schedule a tour of our facility.